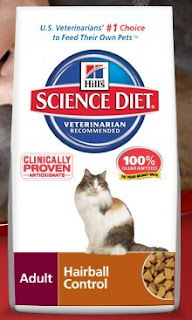 FREE 3.5lb Bag of Hill's Science Diet Cat Food! Wow, head over to Petco's Facebook page to request a totally free 3.5lb bag of Hill's Science Diet Hairball Control cat food! All you need to do is fill out a short form and they will send the bag to your house! If you don't have cat, this would make an awesome shelter donation item.